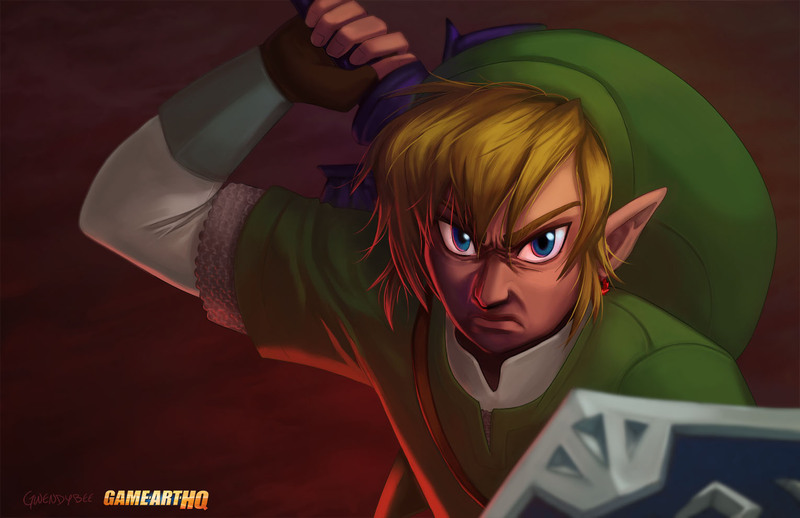 Angry Link for a change! We saw a ton of happy Link’s already and sometimes a scarred one in our LOZ Art Collaboration, Link’s Blacklist, but rarely a seriously looking “Hero of Time” with such a deathglare. 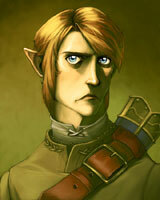 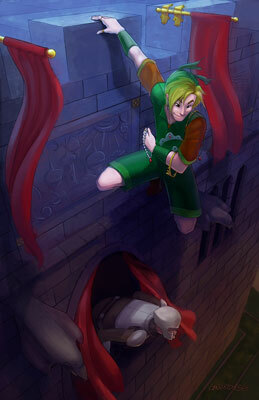 Gwendybee drew a relative unusual take on Link there related to his version from The Legend of Zelda Skyward Sword where he is portrayed with such a face sometimes. 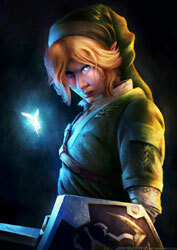 Let’s hope he shows many emotions and has a real own personality in the next big Zelda game as well!